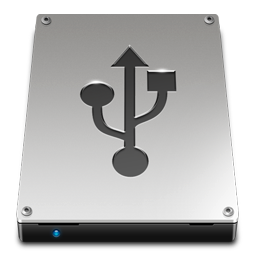 The USB device stack includes a mass storage interface for implementing the mass storage class. The interface handles all requests from the attached host and forwards all disk I/O operations to a specified disk driver. The mass storage interface uses a disk driver for the physical storage of the file system data. A media disk driver is assigned to a logical unit when it is added to a mass storage interface. The mass storage interface does support multiple logical units (LUNs). The media disk drivers provide status information about the physical disk, such as media presence and write protection, to the mass storage interface. The mass storage interface automatically provides this information to the host. The code snippet below shows how to initialize a USB device stack instance along with a mass storage class interface for a given media disk driver. Creates and initializes a Mass Storage Class (MSC) interface for a USB device. intf A pointer to a caller allocated mass storage interface to be initialized. epnum The number of the endpoints to be created for the interface (must be non-zero). ERR_NULLREFERENCE The argument 'device' or 'intf' was found to be NULL. ERR_INVALIDARGUMENT An invalid argument was specified. Adds a logical unit to a mass storage interface. intf A pointer to the mass storage interface to receive the logical unit. lun A pointer to a caller allocated logical unit to be initialized and added to the specified interface. disk A pointer to the media disk driver to be used by the logical unit. info A pointer to the SCSI inquiry information for the logical unit. infolen The size, in bytes, of the inquiry information. SUCCESS The logical unit was initialized and added to the given interface. ERR_NULLREFERENCE The argument 'intf', 'lun', 'disk' or 'info' was found to be NULL. Removes a logical unit from a mass storage interface. intf A pointer to the mass storage interface that contains the logical unit. lun A pointer to the logical unit to be removed. SUCCESS The logical unit was removed from the interface. ERR_NULLREFERENCE The argument 'intf' or 'lun' was found to be NULL. Sets the enable/disable state for a logical unit within a mass storage interface. lun A pointer to the logical unit to be enabled or disabled. enabled The new enabled state for the logical unit. SUCCESS The enabled state for the logical unit has been updated. ERR_NULLREFERENCE The argument 'lun' was found to be NULL. Returns the enable/disable state for a logical unit within a mass storage interface. lun A pointer to the target logical unit. TRUE if the logical unit is currently enabled; otherwise FALSE.